Giving back to the community is good for business. There are plenty of tried-and-true ways to give back in the real world, but what about in the virtual world? Many businesses are now using the web to help improve local communities in new ways. With the rising cost of tuition, it’s becoming increasingly difficult for students to afford a college education. Scholarships can help ease the financial burden of obtaining a higher education. Many businesses are now offering a yearly scholarship program to help local students continue their education. Typically, students are asked to write on a particular topic, or there may be an option to use other media, like videos. Avacare Medical, for example, allows students to submit a written essay, image or a video as part of their scholarship application. Others may only allow one type of media, such as text or video. Scholarships are a great way to give back to the community, and businesses can easily promote these opportunities through their websites. Fundraising is a classic way to give back to the local community, but instead of hosting an expensive event, businesses can now help a cause through online fundraising. GoFundMe is a popular place to do this. Some companies may use the platform to help customers raise money for medical supplies, education costs or emergencies. They can also help local charities using GoFundMe. Companies may also use other crowdfunding sites to raise money for their cause. Regardless of the platform, the company will typically advertise the online fundraising event in some way. This can drum up more donations and support for the cause, which further helps the community and builds brand awareness. Along with raising money through crowdfunding sites like GoFundMe, companies are also giving back by donating a portion of their online proceeds to charities and causes. The donations may be part of a special promotional event, or they may be a permanent part of the company’s policy. Customers love it when a company donates a part of its proceeds to a cause or charity. In fact, some customers choose to do business with a particular company solely for this reason. Businesses can also use the web to give back in a much simpler way: through assistance and resources. Taking the time to help customers find what they need can go a long way in making the community a better place, particularly when the company is in the medical or educational fields. Assistance and resources can come in the form of helpful written guides, printable material, or through customer service. This information can go a long way in helping customers solve their problems and find what they need to find. 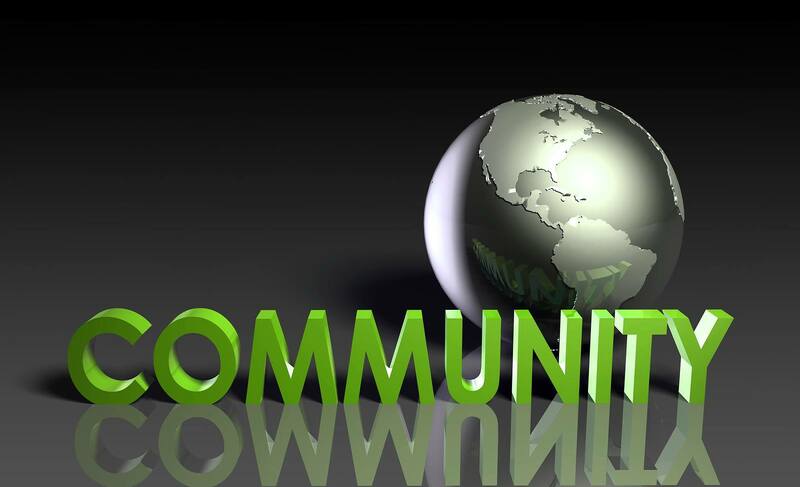 Businesses can give back to the community in many ways, and the web is a great tool to help them achieve their goals. Fundraising events are the most common way, but scholarships are quickly gaining steam.